MKB Law recently announced that we had teamed up with Action Mental Health as our official charity partner for 2019 and 2020. Our fundraising activities for the charity commenced with a staff ‘Christmas Jumper Day’, held on Friday 21st December 2018. 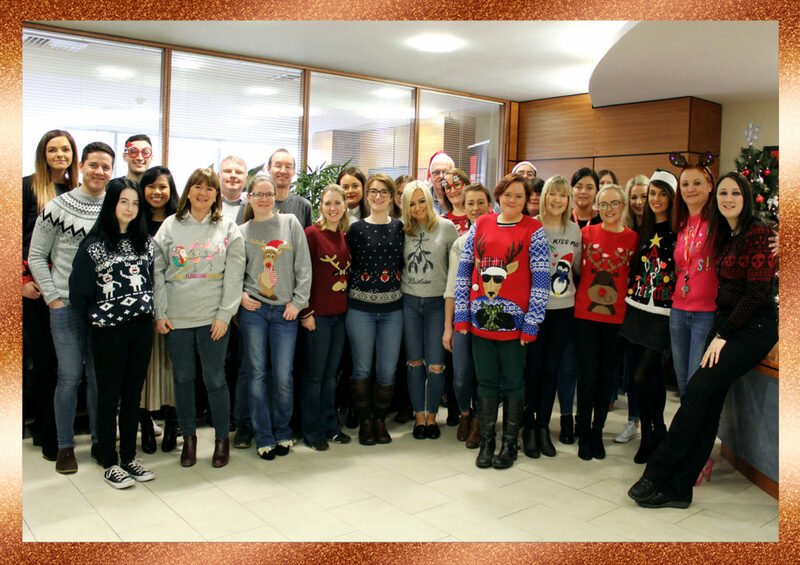 We were delighted that all our staff members – including the firm’s Senior Partners – participated by donning their finest festive apparel especially for the occasion! The total amount donated by our staff towards this event was £110.00 – a fantastic number to kickoff our 2 year fundraising campaign! Thank you to all our staff who participated in the event and made a dontation towards an excellent cause – we can’t wait to see your jumpers for Christmas 2019! Details of our next fundraising event for Action Mental Health will be announced shortly. In the meantime if you wish to find out any more about the charity, please visit their website.